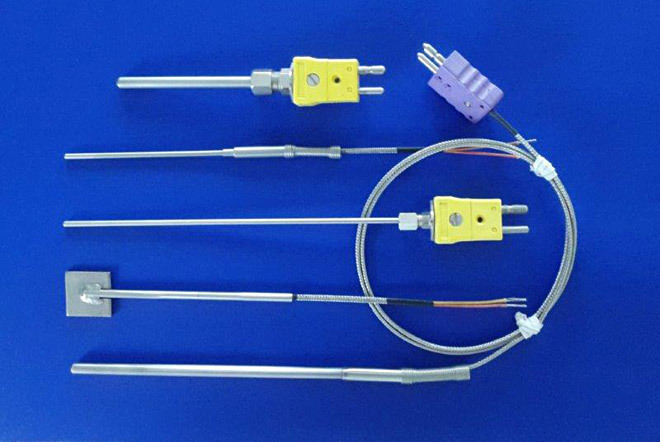 Formpack thermocouple assemblies consist of single, dual or triplex element thermocouple wires, hard packed magnesium oxide insulation, and a wide range of metal sheaths, in one compact unit. They offer the advantage of small size, fast response, and longer life than wire thermocouples. These compacted thermocouple assemblies provide the answer for many special or difficult applications. Precision Measurements manufactures a complete thermocouple line including assemblies for chemical, power, primary metals and plastic industries. We'll respond to this request for quote promptly and will work with you to meet your thermocouple needs!